Fall seeding of cover crop is a great way to ensure that the hard work of developing healthy soil continues during the winter months. 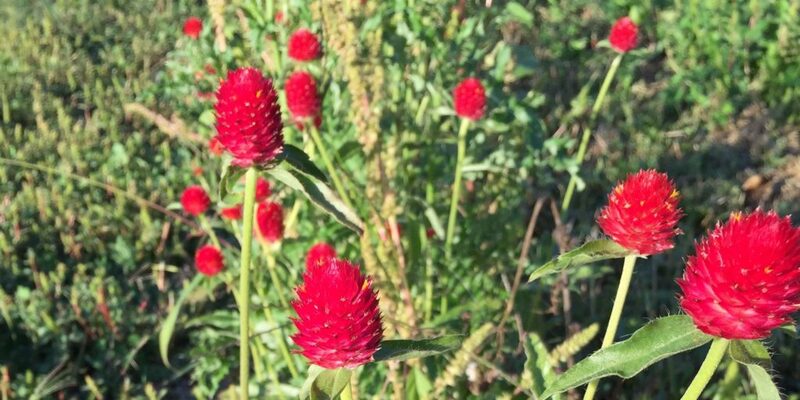 KCD is offering FREE cover crop seed (crimson clover and yellow field peas) to King County backyard gardeners who have submitted samples for soil nutrient testing. Cover crops help minimize soil compaction and erosion from winter rains, store important nutrients, suppress weeds and supply habitat and food to beneficial insects and pollinators. Stop by KCD’s office at 800 SW 39th At, Suite 150, Renton, WA 98057 during regular office hours to pick up your package of cover crop seed or visit us at one of the farmers markets listed below. Be prepared to show a copy of your soil test, either in print form or as an email attachment on your smart phone, to receive your package while supplies last. Haven’t had your soil tested? There is still ample time to do so this summer. Find soil testing information here and pick up your cover crop seed package when you drop off your soil sample. Check out our Cover Crop Fact Sheet for more information on cover crop planting and care.